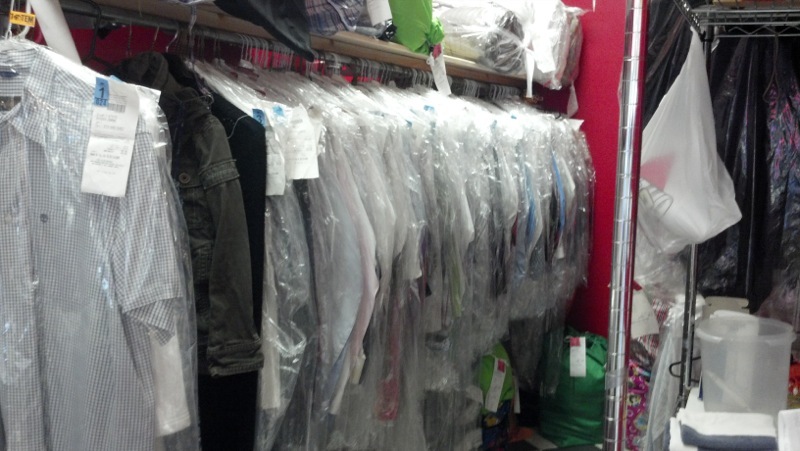 Looking for a place to take your dry cleaning in Belleville, NJ? Spin Central Laundromat has got you covered. Belleville Spin Central, across from the Franklin Street Bakery, is just like any other Berger family laundromat – clean, comfortable, and convenient, with ample parking and expert wash, dry, and fold service. But there is one feature that sets this laundromat apart from the others. Located at 24 Franklin Street, Belleville Spin Central is the only NJ Laundromat that offers dry cleaning services to the people of Belleville and the surrounding areas. This convenient offering, combined with all the other features common to NJ Laundromats, makes Belleville Spin Central a true one-stop spot for all your laundry needs. Bring you dry cleaning down to Spin Central Laundromat at 24 Franklin Street in Belleville, New Jersey and give our dry cleaning services a try. We know you’ll be pleased by our friendly customer service and outstanding results. Plus, we offer a 20% discount on all dry cleaning if paid for in advance. We look forward to seeing you soon!